Red Mangroves Research Papers examine plant is an important part of our coastal ecosystem. 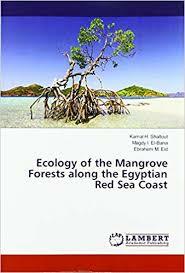 This is a topic suggestion on Red Mangroves from Paper Masters. Use this topic or order a custom research paper, written exactly how you need it to be. Once considered the part of an ugly, smelly wasteland, Red Mangroves are now recognized as a vitally important part of a complex coastal ecosystem. They grow in the transitional area between land and sea in tropical areas. Tolerant of salt, resistant to wind and waves, Red Mangroves are the foundation of a food web, provide shelter for marine life, and protect the coastline. Besides being an essential part of its ecosystem, Red Mangroves are harvested in great abundance for charcoal, timber, honey, and tannin. In many areas, Red Mangroves are destroyed so the land can be used for fisheries or salt flats. The result is devastating on the ecosystem, the effects of which are only starting to be realized. Indeed, worldwide, an estimated 35 to 50 percent of Red Mangroves have been destroyed and continue to be destroyed at a rate of greater than one percent per year. Unfortunately, there has been relatively little research on Red Mangroves or the impact of their loss upon the world. However, the contributions made by these trees that appear to walk on water is significant for the life forms (including humans) that benefit from their position in a complex ecosystem. Information regarding the Red Mangrove was gathered through research in journals and online resources. Resources were chosen based on content that provided data on morphology, anatomy, reproduction, life cycle, habitat, and ecological information related to Red Mangroves. The data was gathered from the literature then organized into written form with a focus on providing basic biological and ecological features and functions of Red Mangroves. Mangrove is not a biological classification identifying a species. Instead, it is an ecological term referring to halophytes, trees and shrubs that have adapted to survive in salty areas along coastlines. Red mangrove is actually Rhizophora Mangle in which Rhizo refers to root and Phora refers to carrier thus providing a description and function of the tree. Mangle is an Arawak word for the reddish tree. Paper Masters writes custom research papers on Red Mangroves and examine plant is an important part of our coastal ecosystem.